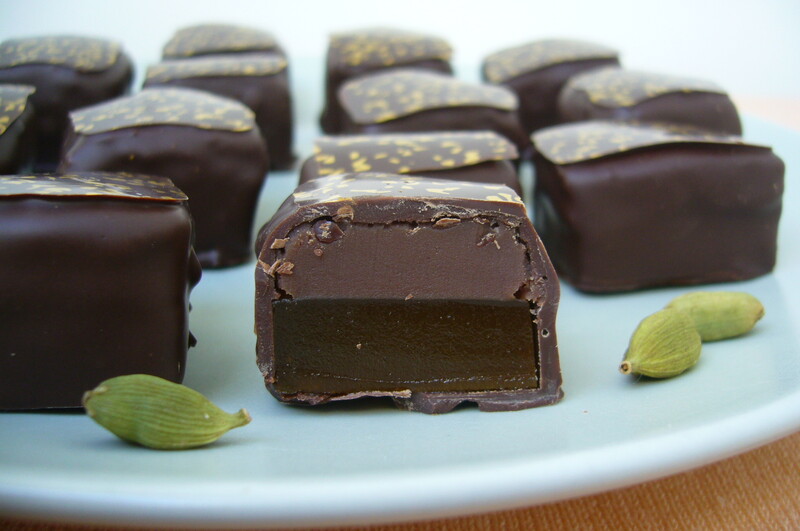 Three of my favourite flavours – dark chocolate, mango and cardamom all together! Must be good. Thanks for the post and the delectable photos. You are very welcome – more to come, and thanks for your kind words! 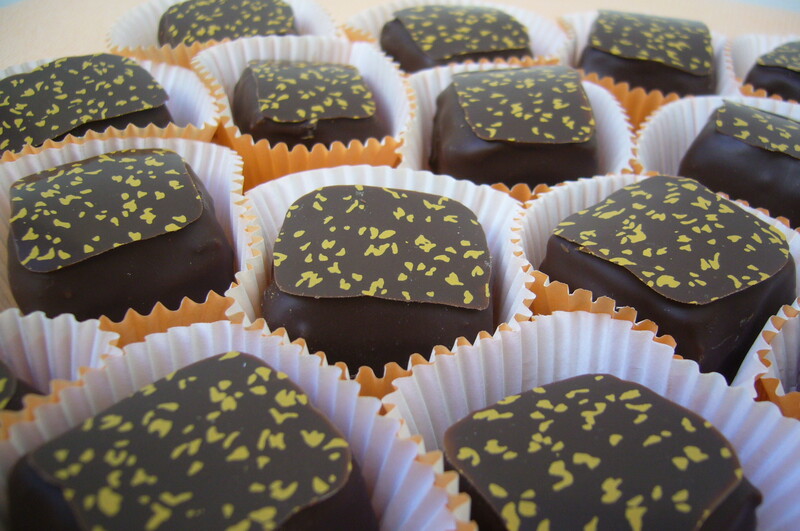 Great minds think alike…I’ve just made my mango and cardamom chocolates for a Mother’s Day order! These look lovely, totally different to my white chocolate with a liquid fresh mango and cardamom filling, but I see we both decorated with gold! I’m going to try a pate de fruit soon to start some double layered fillings, hopefully it will turn out as delectable looking as these.